Nice job on a first winamp..I like the small size. 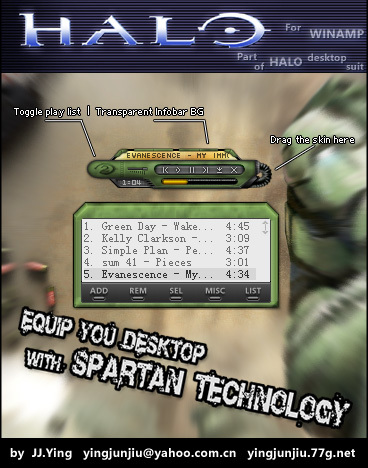 There seems to be a problem with the winamp skin. The player is skinned but all other windows do not display borders even , only the window contents. The player is skinned but all other windows do not display borders even , only the window contents. The skin is displaying with borders in all windows for me. Not sure what version winamp your using but, I believe that its in your winamp preferences. Didn't realize I had to turn that on. Great skin, thanx JJ Ying.